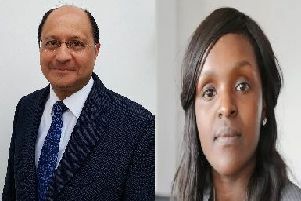 Shailesh Vara, Member of Parliament for North West Cambridgeshire, has returned to the backbenches following the announcement by Prime Minister Theresa May of her new government. Mr Vara has served as Parliamentary Under-Secretary of State in the Ministry of Justice, from 2013, and as the Parliamentary Under-Secretary of State for the Department for Work and Pensions from 2015. The Conservative MP said: “It has been a great pleasure and privilege to have served as a minister in government. First in the Whips Office, and then at the Ministry of Justice and for the past year jointly at the Department for Work and Pensions. “Our country has huge challenges ahead and I am confident that in Theresa May we have the right person to lead us. Steve Barclay, MP for North East Cambridgeshire, has been made a government whip.